Want A Quick, Easy, Step-By-Step Shortcut To Prep For Any Audition Like A Pro? Did you ever go to an audition, think you did okay, then realized after the fact that there was something you missed? Or worse, you thought you did well and were right for it, but never heard from them again? Often when either of these things happens, it’s because you missed something. It only takes a few small details to create the difference between an okay audition and an outstanding audition. Which one do you want to be creating? I really hope you said you want to create outstanding auditions, because those are the ones that book. Those are also the ones that this 15-step Audition Prep Quickstart process can help you to create. What’s most SHOCKING about this is that if you ask any actor if they made specific choices for their audition, they will say yes. That’s scary…If you want to be a consistently working actor, that is. So over the past few years, I’ve started to investigate this issue. Would you like to know the results? Most Actors Who DIDN'T Book From An Audition They Thought Was Good Had Missed Several Of The 15 Steps. But here’s the 2 most interesting pieces. 1 - They were all different… Meaning that the pieces they missed were not universal. Different actors missed different steps. 2 – They didn’t realize they’d missed them. So, what does this mean for you and your ability to prepare a bookable audition? Each and every step in the 15-step Audition Prep Quickstart process is vital. You can’t skip one. You can’t miss one. You Need A Systematic Way To KNOW For Certain You’ve Hit Every Step In The Process If You Want To Increase Your Chances Of Booking More Roles From Your Auditions. That’s why I was determined to give you a way to always know you hit every step. That’s why I created “The Ultimate Audition Prep Checklist”. This Is The Missing Piece To Connect The Dots Every Actor Needs When Preparing For Any Audition. A concise, power-packed “Audition Prep Quickstart” training on how to use it. And, once you’ve been through the Ultimate Audition Prep Quickstart training on how to use it, you are golden. "Why Do I Need The Quickstart Training When I Have So Much Other Audition Training?" When it comes to auditioning, you’re often getting the sides hours before your audition. No matter how much auditioning training you’ve taken, you can’t go back and revisit it before every audition. Who has that kind of time? In order to make sure you’ve gone through every step of the process for every audition so you can increase your chances of an outstanding audition, you need a quick reference. 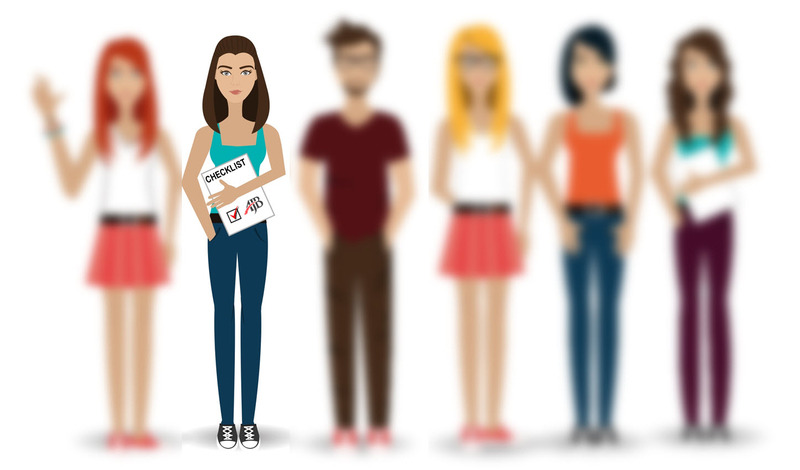 Once you go through it, you’ll know exactly what goes on inside a Casting Director’s mind when it comes to preparing for your auditions, giving you the greatest chance of success in the room (or on your self-taped audition). Extras and examples from my own casting experience to illustrate parts of the process. If you’ve ever given an audition you thought was good but didn’t get a callback, or thought of something you should have done AFTER the fact, it’s time to get systematic about it so you can easily tick through each step, knowing for sure you haven’t missed anything. You don’t have to try to keep all of this in your head anymore, hoping you remembered every step. Because now you have a zippy, quick video class to walk you through the process and a simple checklist you can download and use for every audition, knowing what all the nuances are, because you can literally hear me in your head, telling you what to do next. It’s like having me in your back pocket, coaching you before every audition. And you can have that for only $27. You heard it right – Only $27. Hurry...Do This BEFORE Your Next Audition! 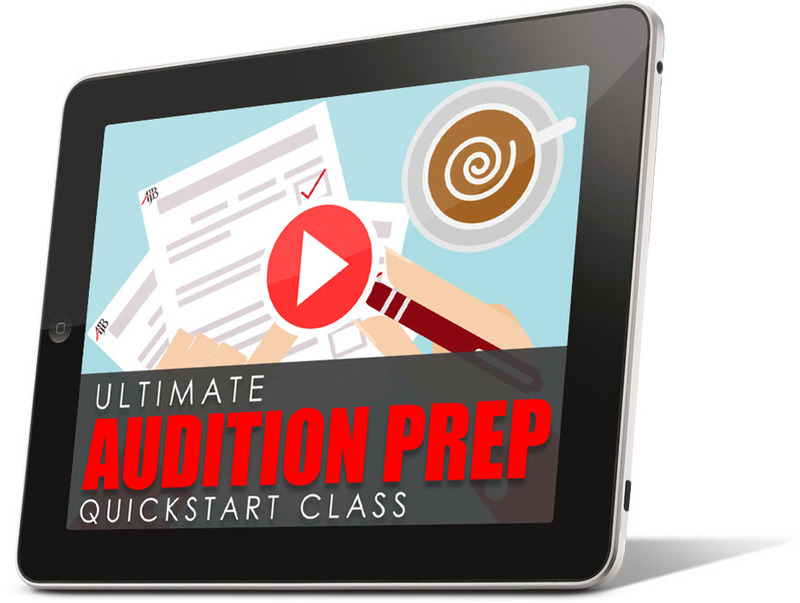 A. It’s a recorded 35-minute training that walks you through how to use "The Ultimate Audition Prep Checklist" so you can refer back to it for every audition and never miss a step again. As soon as you complete your order, you get instant access to the class in our private membership area where you can watch or listen to it as many times as you like, on your own schedule, at your convenience. Q. Can I also have a copy of "The Ultimate Audition Prep Checklist" to download and print? You'll be able to download "The Ultimate Audition Prep Checklist" for free and print it out anytime you want, as many times as you want. It's inside of our private members area, so you can use it reference back to everything you learn inside the Quickstart Class over and over again for every audition you have. Q. How Long Will It Take To Get Access To This Class? Your login and access information will be sent to the email address you provide, and it explains how you can access the class inside of our private members area. 2. It weeds out the hobbyists. I only want serious actors who are either working already or who want to do what it takes to become a professional working actor. Professionals know that you must invest in yourself if you want to succeed…even if it’s just $27. I also believe that once you experience this class, you’ll want more and maybe…just maybe…you’ll come back for more training and possibly even upgrade to the “Audition Ninja” or “Be An Audition Rockstar” training program or maybe even one of the other comprehensive programs I’ve created to help actors succeed on subjects like mindset, audition technique and marketing that I offer to my private subscribers and website visitors. A. This is the exact process I use with my private audition coaching clients who have greatly increased their great feedback, callbacks and bookings. It was all developed based on my years of experience in the audition room. The actors who get the best results practice using the steps consistently. So, if you want to get great results, I recommend you do the same! Hurry… Get “The Ultimate Audition Quickstart” Class Now!! …all for just $27. Click the “Add To Cart” button now for INSTANT ACCESS! WARNING! If you wait til the night before your next audition, you'll be stressing and wishing you had done it NOW so you had the time to digest the material and get GOOD at applying it. Don't experiment on your next audition. Get this training now!